The children sing, too. They learn the songs we sing over and over and begin to participate. They ask for favorite songs on CD to be played over and over. 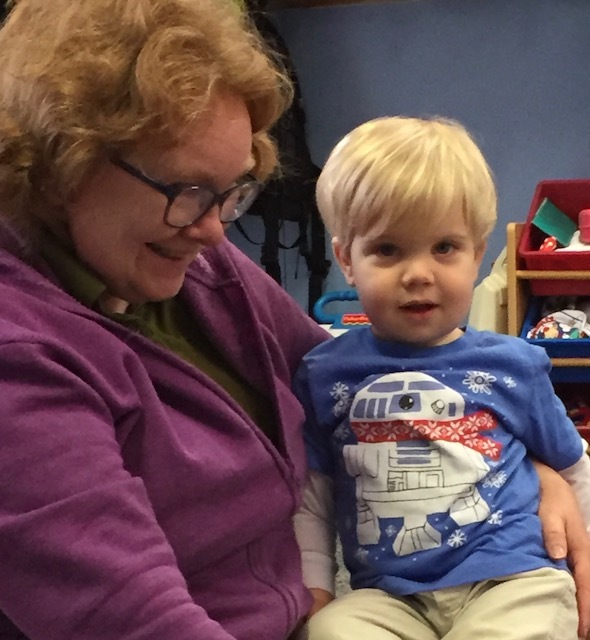 They find their favorite books to sing (like Brown Bear, Brown Bear, What Do You See or Wheels On The Bus), bring them to a teacher or to a parent helper and snuggle in for a story and a song. Children learn many things through music and singing. Most of all, in our Turtle class, they learn that when we sing, we create a space of happiness, joy, and love. We create that space inside of us, and we share that space with others.